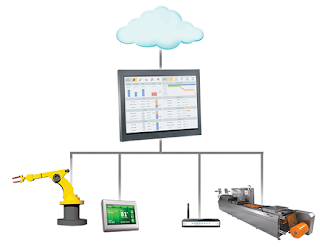 InTouch Machine Edition is a powerful HMI software that utilizes over 240 protocols to communicate with every major manufacturer of PLCs, controllers, and even barcode and RFID scanners. The popular protocols supported by InTouch Machine Edition HMI allow users to share data between dissimilar networks without requiring any special downloads or additional software. The InTouch Machine Edition software acts as a gateway through which different devices can share and exchange data. There are many other popular protocols InTouch Machine Edition can use, such as Industrial Ethernet, CIP, FINS, EtherCAT, Fieldbus, OPTO22, Alnet, N2JC, Interbus, AS511, RTP, Unitelway, CAN, CANOpen, and ODVA. These protocols are used to communicate with a wide variety of devices like FATEK, Control Logix, S7-200, S7-300, and Series 90, CD600. 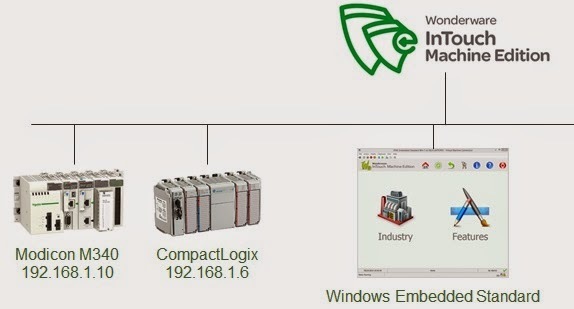 For more information on the protocols and drivers offered by Wonderware by Schneider Electric, please visit our InTouch Machine Edition software page. If you want to catch the latest source of HMI/SCADA Wonderware news from Schneider Electric Software in your inbox every week, subscribe to our Wonderware HMI/SCADA Times (Wonderware.com/wwtimes ). It's a single weekly email digest that you can use to catch up with great articles on your own time. What are the Wonderware OEM products?